Routing is in the hands of your LSP administrators. They choose how calls are received, what devices can be used and what languages and service types are available. 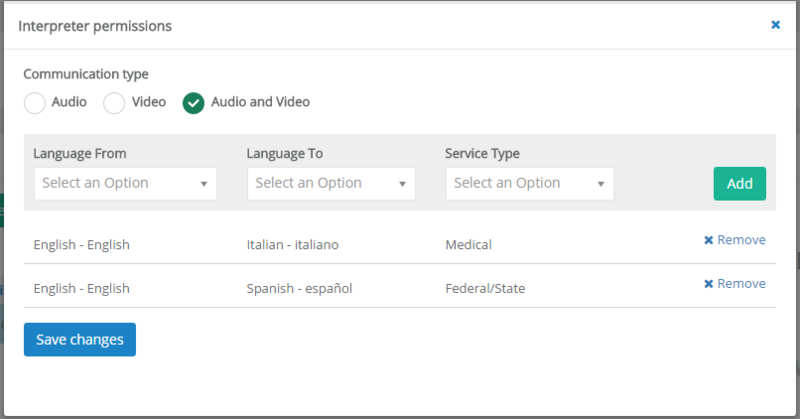 In order for an Interpreter to service customers his/her permissions must be created before calls can be routed. To do this log into Boostlingo as a LSP administrator. Navigate to Interpreter Management, select the Interpreter you'd like to update and open the Permissions dialog. Once complete click save and now calls can be routed.